It is inevitable that as we grow older our bodies and minds will no longer function as they did in our younger years. Even so, caring for a loved one who may be showing early signs of dementia can be among the hardest things we may ever be asked to do. And the effort and sacrifice required to take care of an aging loved one is even harder to bear when there is uncertainty over whether they have dementia or not. We’ve put together this list of 8 warning signs for dementia to help provide clarity and hopefully answer questions. One of the most common misunderstandings is that dementia and Alzheimer’s disease are one and the same. Actually, dementia is a syndrome, not a disease. A syndrome is a group of symptoms that don’t have a definitive diagnosis. Dementia is a group of symptoms that affect mental cognitive tasks such as memory and reasoning. 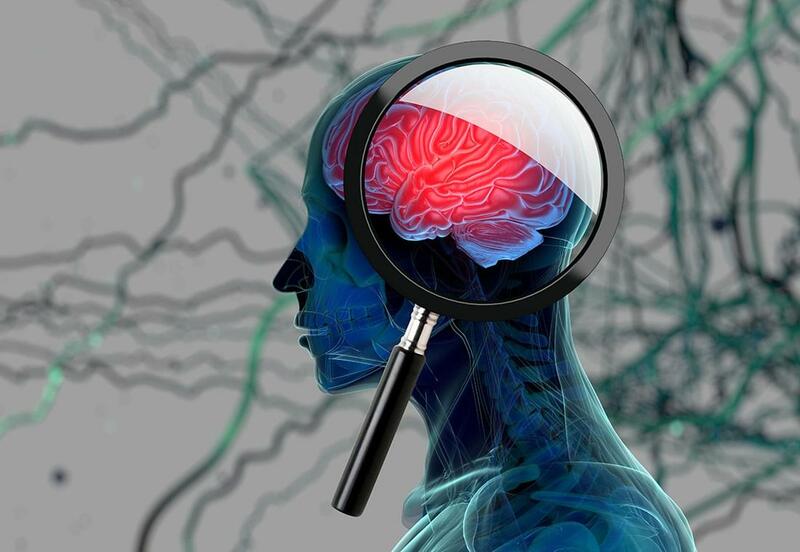 Alzheimer’s is technically classified as a progressive disease of the brain that slowly causes impairment of memory and cognitive function and counts dementia as one of its symptoms. To put it in another perspective, Alzheimer’s disease is the most common type of dementia. The term dementia is an umbrella term that Alzheimer’s disease can fall under. It can occur due to a variety of conditions, the most common of which is Alzheimer’s disease. Alzheimer’s may require medical attention above and beyond what is required when dealing with dementia. Again, dementia is a group of symptoms that involve impaired thinking, while Alzheimer’s goes far beyond cognitive impairment and is classified as a terminal illness with 7 stages, the final being the terminal stage. Dementia is not necessarily terminal and may not be caused by Alzheimer’s. According to the Mayo Clinic, there are eight main warning signs of dementia. These are applicable to all forms of dementia and involve memory, movement, and thinking. One of the most common symptoms of dementia is a decline in motor control. You will notice your loved one shaking much like a Parkinson’s symptom, except they do not carry this diagnosis. You may notice their hands tremor or they shuffle when they walk, or walk much more slowly than usual. Visual hallucinations are one of the most common early signs of dementia, and often one of the first signs to be aware of. While many times dementia leads to seeing items, people, or animals for example, that aren’t there, dementia may result in olfactory (smell), auditory (sound) and tactile (touch) hallucinations as well. As we grow older, dementia can also affect biological functions such as sweating, pulse, blood pressure and digestion. In one form of dementia, Lewy Body dementia (LBD), nerve cells in the brain are affected by Lewy bodies, which can affect parts of the brain that control bodily functions, causing symptoms like constipation. This is one of the least recognized signs of dementia because we tend to be sleeping during the time when our loved ones experience this symptom. In effect, REM (Rapid Eye Movement) disorder can lead to the acting out of dreams as they occur. This may result in sleepwalking and can pose a very real danger to the person suffering from dementia. You will often notice that a person suffering from dementia will stare into space from time to time and for long periods of time. They will also take long naps during daytime hours and may be highly disorganized in their speech patterns. This is one of the easiest warning signs of dementia to spot. While apathy among older adults doesn’t necessarily mean your parent or grandparent is suffering from dementia, it is still one of the symptoms of dementia to be aware of. Apathy may come from being aware of nearing the final stages of one’s life, and this is normal if none of the other signs and symptoms are present. However, severe apathy to the point of an almost catatonic state may clearly indicate dementia is present. Again, like in the case of apathy, showing signs of depression may not indicate a diagnosis of dementia is warranted. On the other hand, if more than a few of the other warning signs are present, there is every possibility that Lewy bodies are affecting nerve cells in the brain and that your loved one is, indeed, suffering from dementia. One of the most common fears among families of older adults suffering from dementia is that they are doing something wrong, which can lead to feelings of inadequacy. 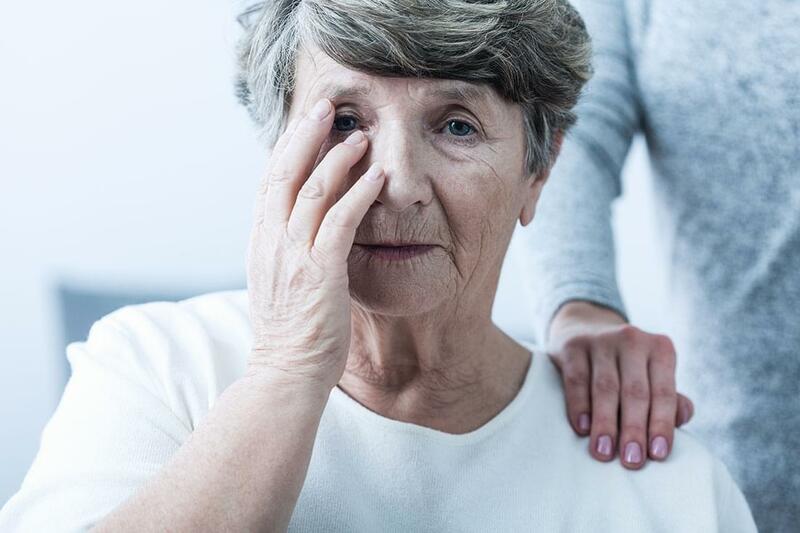 No matter what they do or how hard they try, these symptoms seem to get progressively worse, and the agitation their loved one experiences just worsens their feelings of helplessness. This is something we often encounter when discussing whether or not American Orchards Senior Living Community is a good match for your loved one at this late stage of life. The first thing we would like you to know is that you are not doing anything wrong. Agitation, depression, and apathy are, as described above, common symptoms of dementia. Unless you are a trained professional, you can expect to be uncertain in dealing with the various issues that will arise. Since you understand that safety and your loved one’s comfort are priorities, this is something you will surely want to discuss with our team members. We would like you to know that we understand how frightening new surroundings can be for individuals dealing with dementia, and it is our mission to make them feel right at home. 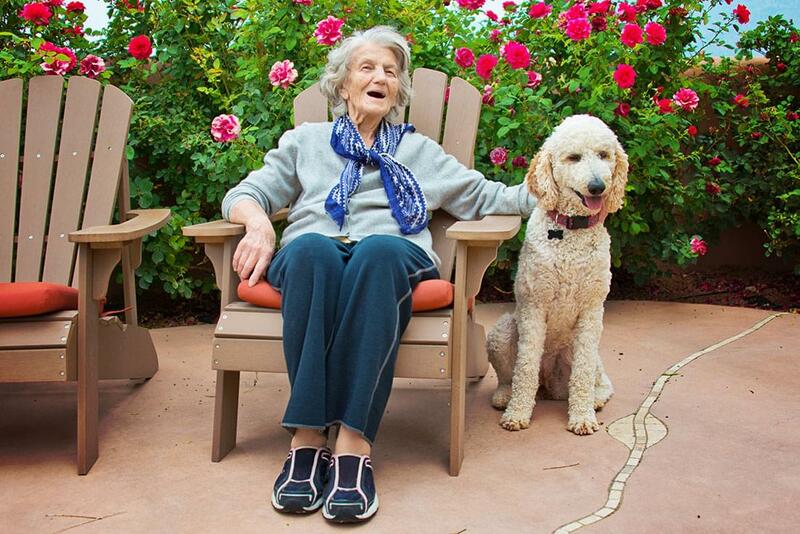 Alongside safety, it is crucial that your loved one feels at ease in a memory care community. At American Orchards Senior Living in Gilbert, AZ, we offer compassionate and people-centric senior assisted living and memory care. Your loved one will always be well cared for and made to feel a vital part of our community. Their new home will, from the very first day, feel like home, and that is what senior assisted living at American Orchards is all about.